About the Book: A young mouse sets out on a grand adventure to discover the biggest animal in the world and makes new friends along the way. 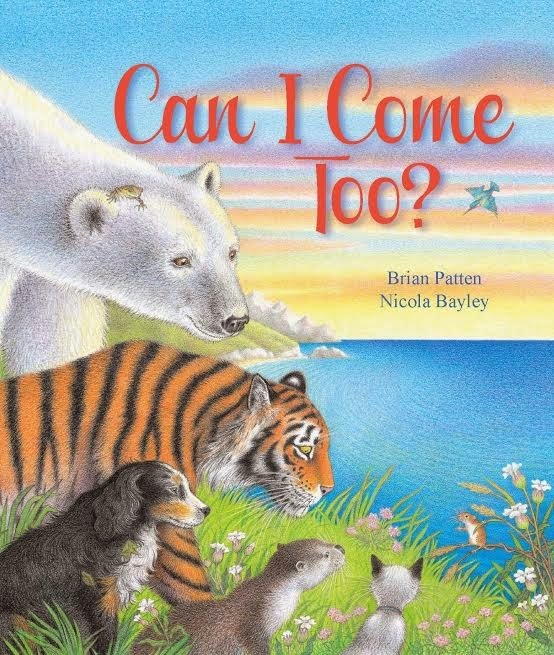 GreenBeanTeenQueen Says: Can I Come Too is a sweet and charming cumulative picture book perfect for preschoolers. 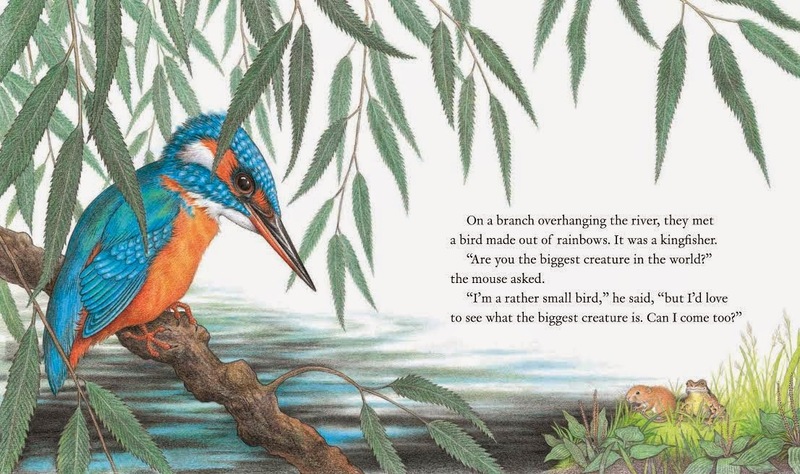 The little mouse wants to discover the biggest animal in the world and spends the day meeting new animals and discovering bigger and bigger animals along the way. The illustrations are gorgeous and are sure to inspire readers to pour over the pages and take in all the details. 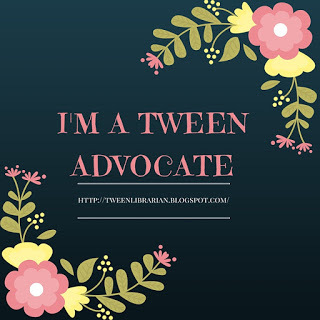 The text is simple enough for young readers but engaging enough for older readers to join in. I love how the author deftly includes some science into the text. What animal is the biggest animal in the world? What animal will be next-it has to be larger than the animal we just met. It's a great way to get kids thinking about animals and their size. Pair this one with Steve Jenkins Actual Size for a fun filled animal science storytime!